NICE, France -- French authorities have detained a third person in connection with the Bastille Day truck attack in Nice that killed 84 people, according to an official in the prosecutor's office, which oversees national terrorism investigations. The 37-year-old man was said to be part of the attacker's "entourage," according to the official, who spoke on condition of anonymity in line with government policy. Three students on a European study program - an American, Ukrainian and Estonian - are still missing following last week's truck attack on the French city of Nice. A communications officer at the Nice branch of the European Innovation Academy, Annie Seneard, told The Associated Press on Sunday that among the missing is 20-year-old Nicolas Leslie, who was doing a stint at the EIA from the University of California at Berkeley. He was among dozens of Berkeley students on the program, and fellow students have posted fliers in Nice trying to find him. The other program participants still unaccounted for are 22-year-old Canada-based Ukrainian national Misha Bazelevsky and 21-year-old Estonian Rickard Kruusberg, Seneard said. A fourth missing student from the academy, 22-year-old Estonian Hans Joosep Lahe has been located. A lawyer for the estranged wife of the truck attacker who killed 84 people in Nice says the woman was no longer in touch with her husband. Jean-Yves Garino told BFM-TV on Sunday that the woman, who is the mother of Mohamed Lahouaiej Bouhlel's three children, had been physically abused by her husband, and eventually threw him out of the house. Garino said "it was hard, but she did it," adding, "she was no longer in contact with him." He said Bouhlel also was violent with the rest of the family, including the woman's mother. The woman was detained Friday and released from custody earlier Sunday. Six people are still being detained. 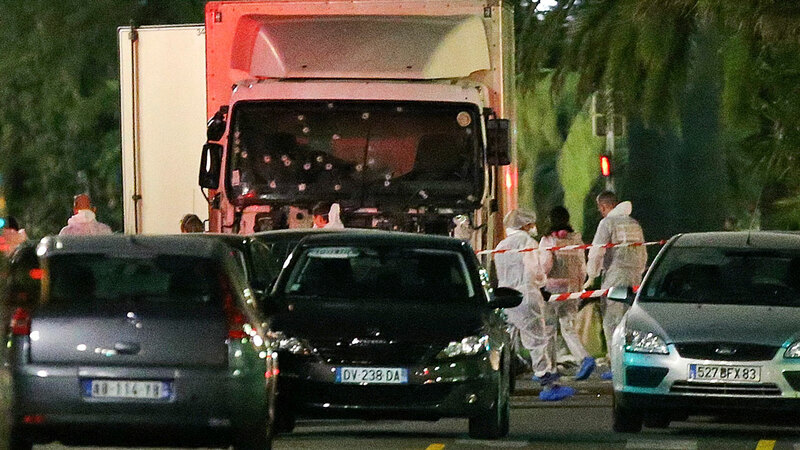 Click here for full coverage on the truck attack in Nice.